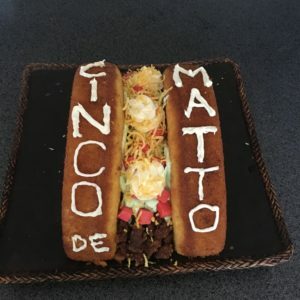 My best friend-in-law (my best friend’s fiance) Matt is born on cinco de mayo! 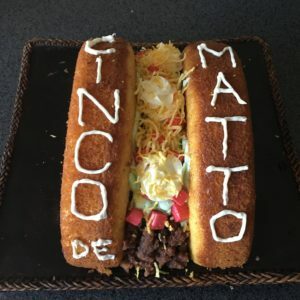 This means that every year on the 5th of May, we have two amazing excuses to celebrate. 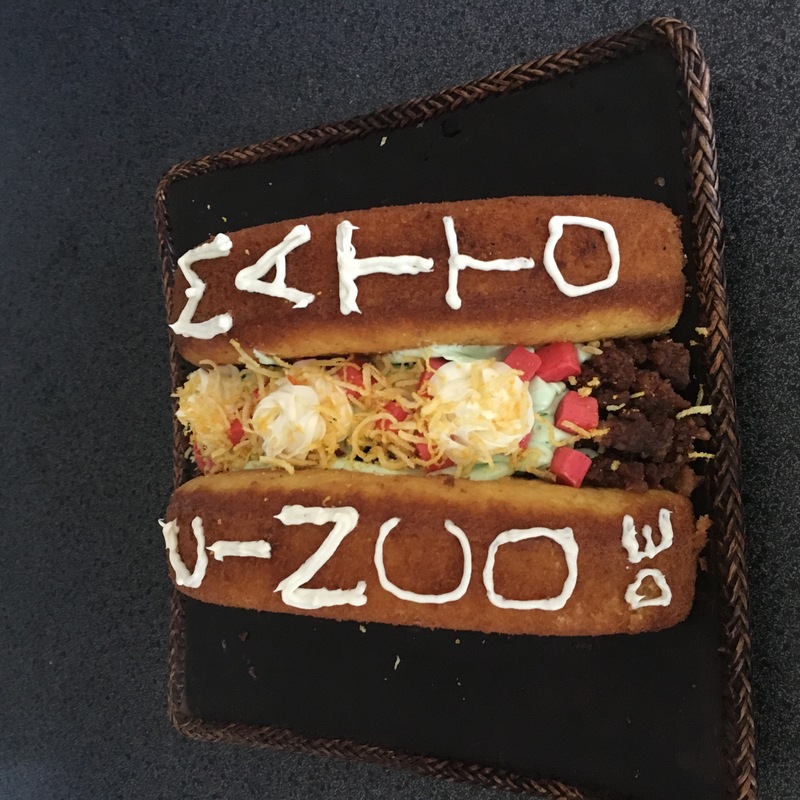 This year we went to a concert for his birthday, but I wanted to make him a themed taco cake to celebrate while we got ready. 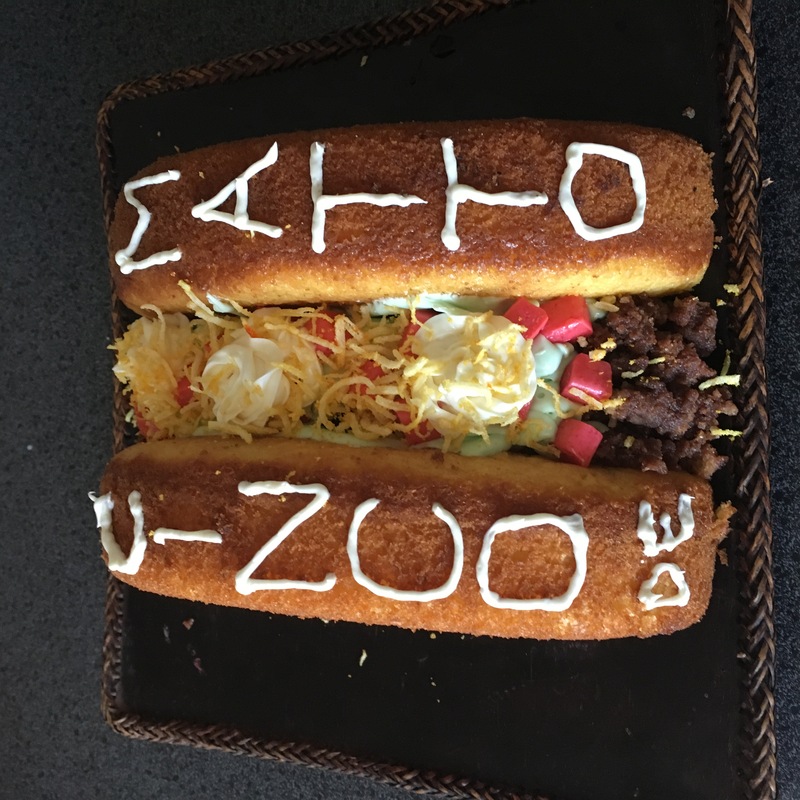 All of the taco ingredients are sweet, but meant to look like the real thing. 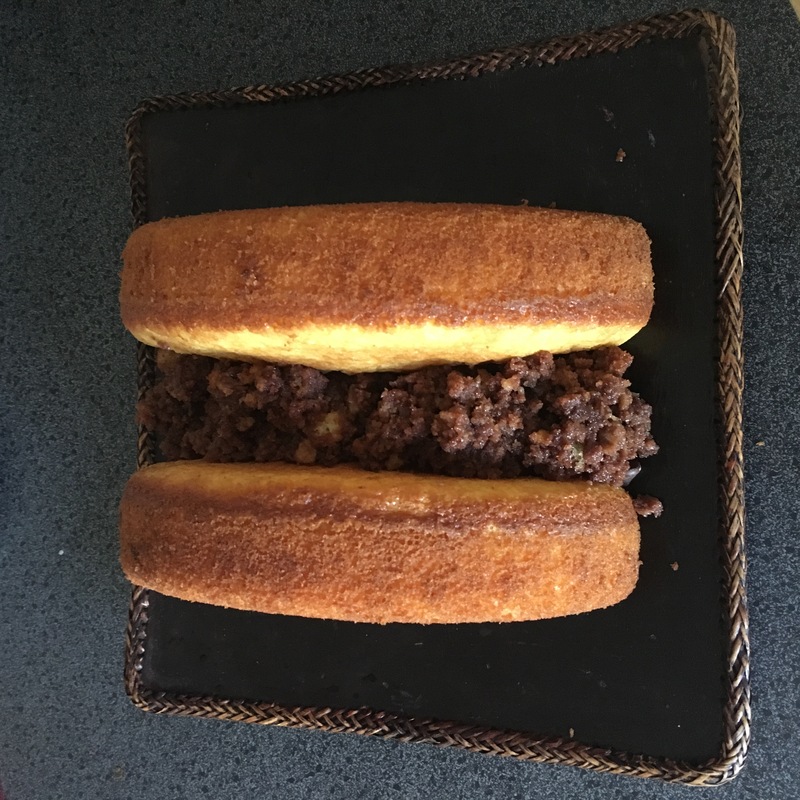 The “shell” is half of the 9 inch cake stuck to the tray with chocolate frosting. 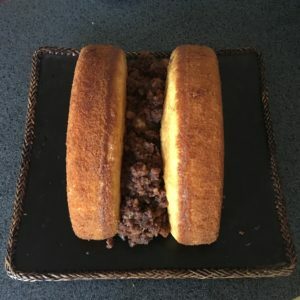 The “meat” was crumbled cake with chocolate frosting and chocolate chips. The “lettuce” is green dyed vanilla frosting piped with a flat piping tip and the “tomatoes” are cut up red starburst. 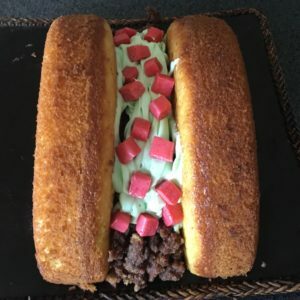 “Sour cream” is white frosting piped with a round tip and “cheese” is yellow colored sweetened coconut flakes.